Six years after Tim Burton‘s Alice in Wonderland dazzled audiences, Alice slips through a magical mirror and finds herself back in Underland on an entirely new adventure in Alice Through the Looking Glass. In a film that is full of our favorite mystical friends including Tweedledee and Tweedledum and the Cheshire Cat, this time Alice is on a quest to save her friend The Mad Hatter, before time literally runs out. 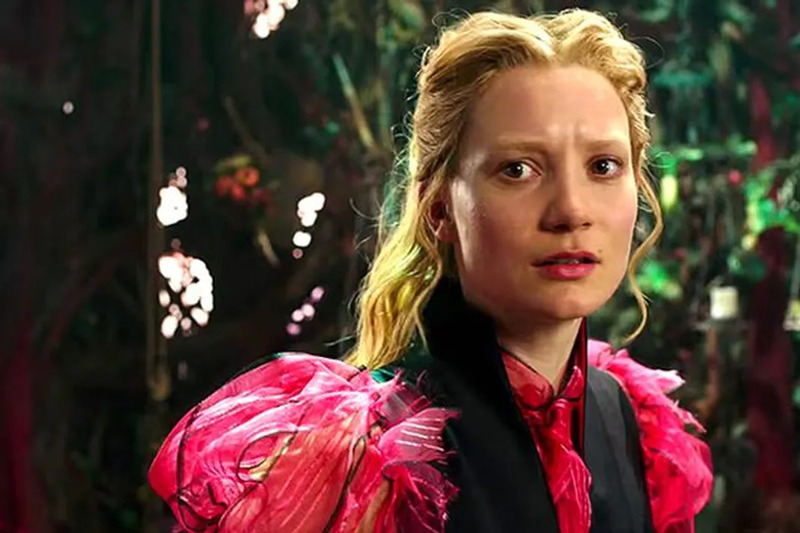 Despite the fast paced story-line and whimsically gorgeous look of the film, it is Mia Wasikowska‘s Alice that shines bright in this film. Here are 5 times Alice was a feminist icon in Disney’s Alice Through the Looking Glass. After turning down a marriage proposal from an obnoxious man, Alice set out to see the world by becoming the Captain of her father’s ship, The Wonder. She even had an iconic outfit to go with her new gig. Alice proved that marriage doesn’t necessary have to be a goal or aspiration if you don’t want it to be. Though her choice of dress didn’t exactly fit in with the fashions of the day, Alice wasn’t to be deterred. Instead, she showed up to a formal event wearing exactly what made her happy, no matter what people said about her. A lot of us refrain from doing thing we want to do, because we are scared of the consequences. However, no matter how massive the task was in front of her, or how harrowing and terrifying Time’s castle appear, Alice pressed forward determined to save her friend. Alice Through the Looking Glass hits theaters Friday, May 27, 2016!